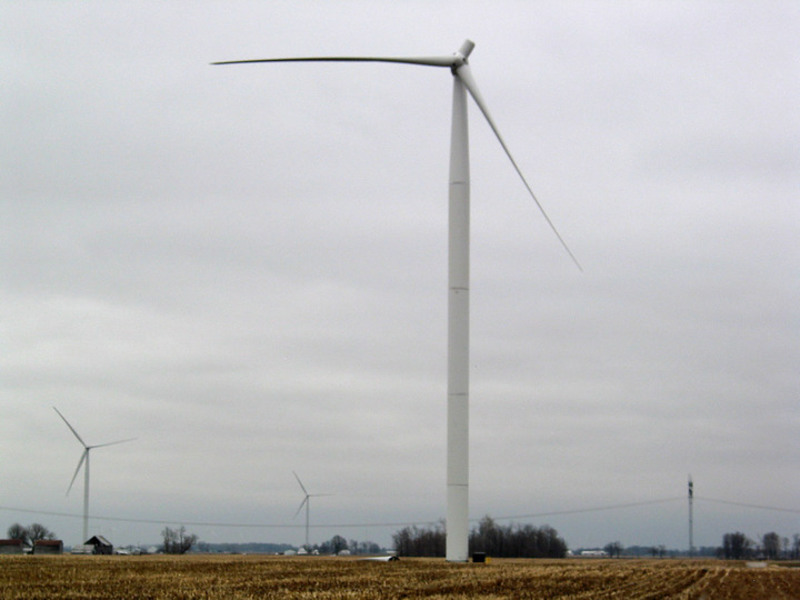 A second blade has fallen from a wind turbine in the Wildcat Wind Farm in Tipton County in around two months. A spokesperson for General Electric, which manufactures the blades, said early signs indicate lightning was the reason the blade on a turbine near 500 East just north of Ind. 28 fell off Wednesday night. In a statement, GE said it will assign a team to perform a thorough investigation to identify the root cause for the malfunction, take appropriate corrective action and bring the turbine back online as soon as possible. The incident Wednesday marks the second time a blade has fallen from one of the 125 turbines on the wind farm, which has been operating since December 2012. On Feb. 1, a turbine near 650 North and 725 East in Windfall also lost part of a blade. The mangled piece is still lying near the turbine’s base. A representative of E.On, the developer of the project, said in a February interview the company is in the process of acquiring a rare crane, which will be brought in to disassemble the turbine’s hub and conduct the investigation. He said the crane could not be brought in if the ground was too soft and wet. E.On officials did not respond to phone and email message requesting information on the most recent turbine losing a blade. The GE spokesperson said the company couldn’t speculate if the two blades broke off for similar reasons. Whatever the reason, Ann Smith, a Tipton County retiree involved with Tipton Citizens for Responsible Development, said blades falling from turbines makes her nervous. She said she sent an email to county commissioners asking if they would shut down the wind farm until officials know for certain what caused the issue. “If they don’t know what’s causing this, they need to shut them down until they do an investigation,” she said. Smith said blades plummeting to the ground go beyond simple complaints that the turbines are noisy or unsightly. She said it’s a real hazard to people who may be working or living around them. “Noise is one thing, but to have something like that fall is a trip,” she said.